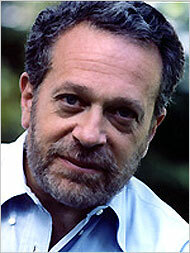 We recently solicited your questions for former labor secretary Robert Reich. He met your questions with earnest, interesting answers and some good advice — like how to avoid being outsourced. Thanks to Robert for his answers, and to all of you for your thoughtful questions. Q: As an educator, what skills/courses do you recommend to your students to ensure their job security? What if you’re too old to be an auto mechanic, but loathe the thought of getting an M.B.A.? A: I tell my students there’s no job security in the economy they’re entering, but if they want employability security — a good chance of maintaining a fairly good paycheck — they need to master a domain of knowledge during their undergraduate years adequately enough to enable them to continue to learn on and off the job from then onward. The old domain will become obsolete, but their learning skills won’t. Auto mechanics, for example, can become automotive technicians who install, fix, and upgrade all the electronics that now comprise a significant part of the modern automobile. But don’t get an M.B.A.! We have too many M.B.A.’s as it is, and they’re killing the economy! Q: You have known the Clintons almost their entire adult lives. The public persona of Bill Clinton has changed during this election cycle — he seems to be much less positive than in the past. He looks and sounds almost angry at times. Is this the real Bill coming out under pressure and without all the stagecraft afforded a president? A: I’ve been disappointed in how he’s behaved during this election, and said so publicly. In fairness to him, I can imagine it’s different being a candidate from being the spouse of a candidate in that the barbs and bruises could hurt more when your wife is the recipient. But still, he should know better. Q: Labor has been relegated to the backseat in favor of capital which has given illusory gains. Are you in favor of rescuing failed investments undertaken by excessive risk-takers even when their failure would cause systemic disruptions? A: Absolutely not. I can understand why the Fed felt it had to bail out the biggest investment banks on Wall Street, but the Fed (or Congress) should demand as a quid pro quo that the banks increase the amount of capital they have on hand in proportion to the risks they’re taking on, and should also require that taxpayers (who are taking on the ultimate risk) share in any future increases in share price. Q: In your book Supercapitalism you talk about how you think labor unions need a seat at the bargaining table in order to bring around more equality in earnings. What do you think of a situation where unions become so powerful that they force companies to teeter on the brink of bankruptcy because they have given such generous salaries/benefits. How do you prevent a powerful union from threatening the long term viability of a company or even a whole industry? A: Fifty years ago, when over a third of the American workforce was unionized and most big industries were oligopolies, it was fairly easy for unionized workers to get higher wages and benefits without putting any individual company at a competitive disadvantage. The higher wages and benefits were merely passed on to consumers in the form of higher prices or came out of profits that would otherwise go to investors. Today, though, most companies are in fierce competition because new technologies combined with globalization have destroyed the old oligopolies and allowed many new entrants. This is good for consumers and investors, who have a much easier time finding great deals. But it’s bad for us in our capacity as workers — especially if we’re doing routine work. And it’s been terrible for unions. If they try for higher wages and benefits, they put their company at a competitive disadvantage – which means their company shrinks or goes under. That’s why industrial unions themselves are shrinking. But look at unions in the local service sector that’s protected from much competition. They’re growing, precisely because the higher wages and benefits can be passed on to consumers and investors. Q: How accurate is the B.L.S. data and what could or should be done to make it as sound and accurate as possible? A: The Bureau of Labor Statistics is the crown jewel of data gathering and analysis in the federal government. It needs more money to do its job properly — to upgrade and expand its surveys, for example. Q: I loved it that you participated in public-radio’s April Fool’s joke on the Marketplace program. Anyway, any idea why voters seem to fall for tax cuts and trickle-down theory? Any ways to convince them otherwise? Also any suggestions to someone in their late 30’s who may get their job outsourced? I’m talking about a highly skilled research job, one that already requires a lot of education (Masters/Ph.D. ), but is easily outsourced to other countries. A: Thanks. The Marketplace crew do a fabulous job. Why do voters fall for tax cuts and trickle-down economics? Because most need a tax cut! The median wage is only slightly higher than it was 30 years ago, adjusted for inflation. It’s below where it was in 2000. And most Americans are deep in debt. So tax cuts are appealing to middle- and lower/middle-class voters. What they need to understand is that the lion’s share of the Bush tax cuts have gone to the very rich — people in the top five percent of income, who have also got the lion’s share of the benefits of economic growth. As a result, services the middle and lower-middle classes depend on — schools, roads, fire and police protection, enforcement of environmental and health regulations — are all being cut, and the national debt keeps growing. Supply-side, trickle-down economics has been a cruel joke, perpetrated on most of us by a cabal intent on justifying widening inequality. Nothing has trickled down except cuts in services. As to your fears about outsourcing, I’d recommend shifting into a part of your industry that depends on being close to customers — tailoring technologies to particular end users, for example. These jobs won’t be outsourced. Q: What steps, if any, can the U.S. take to consider staying on par with China — in terms of economic growth capital, G.D.P., etc? A: China is still playing catch-up with the United States and other advanced nations. It’s relatively easy to chalk up fast growth when you’re not the technological leader. All you need to do is follow the leader! But that’s no reason for complacency on our part. If we want to stay in the lead, we’ve got to invest far more than we now do in basic research and development (green technologies, for example), as well as education (starting with early childhood). And don’t forget infrastructure: our roads, bridges, and pipes are falling apart. All these public investments are at least as important to our future growth as private investment, but we’ve been skimping on them. Q: Do you believe in redistribution of wealth via taxation? A: I don’t believe in redistribution of wealth for the sake of redistributing wealth. But I am concerned about how we can afford to pay for what we as a nation need to do — not just recruiting talented teachers to our classrooms and providing better access to health insurance for all our people, but also paying for national defense and homeland security and all the other things this nation needs. Remember, almost all the economic gains of the last decade have gone to the people at the top. And they pay a relatively small percent of their income compared to what the people at the top used to pay. The marginal income tax on the highest earners was 93 percent under Dwight Eisenhower. It dropped to a little over 70 percent under John F. Kennedy. Now it’s 35 percent. It’s 15 percent if you’re lucky enough to be a private-equity fund manager or anyone else who can shift their income into capital gains. Q: Why do you think the Democrats do such a poor job of framing their policies? How can the spectrum of economic wisdom distributed through the media be broadened, rather than jammed through a relatively narrow paradigm? A: Republicans have been very good and very disciplined at framing policies in ways that average Americans find attractive. Democrats aren’t disciplined at anything; that’s why they’re Democrats. We Democrats try to frame issues in a certain way for maybe a year or two and then give up (Bill Clinton talked eloquently about “investing” in the nation’s future through education, health care, and infrastructure, but gave up on the word “investment” after Democrats got trashed in the 1994 election). On the other hand, the public has now seen the results of Republican you’re-on-your-own policy: a failing economy, a record number of Americans without health insurance, millions of families on the verge of being unable to afford the insurance they have and also on the verge of losing their homes, Katrina, Walter Reed, and so on. No amount of “framing” can mask the abject failures of these policies, and the need for a new approach that acknowledges we’re all in this together. Q: Barack Obama said last week he favors raising the capital gains tax for “fairness” reasons, even though a higher tax rate may not increase tax revenue. Wouldn’t a higher capital gains tax rate eventually lead to less investment and fewer new jobs created? A: The evidence isn’t all that clear on this because tax revenues are far more sensitive to the business cycle than they are to rates. But as far as we can tell, a lower capital gains rate leads to higher tax revenues initially, as investors rush to sell assets in order to take advantage of the lower rate. But once the initial round of selling is over, the lower rate leads to lower revenues overall. Note that when the capital gains rate is lower than the tax rate on ordinary income, individuals shift as much income as they possibly can into assets that qualify for capital gains treatment. So while revenues from capital gains may continue to be higher than they were before rates were cut, revenues from income taxes tend to be lower. Q: What incentives can government or society provide to individuals to encourage actions that benefit those individuals and society in the long-term? A: History suggests that societies become more conscious of their long-term needs after they’ve experienced deep stress — wars, economic depressions, plagues. Perhaps these upheavals give societies broader perspectives on themselves — on where they’ve been and where they may be heading, as well as the ties that bind their members to one another — and thereby encourage them to invest in and make plans for generations as yet unborn. To take the most recent example from modern American history, the Cold War prompted America to invest in its long-term infrastructure (the National Defense Highway Act), train a whole generation of scientists and engineers (the National Defense Education Act), and rebuild war-torn Japan and Europe. Q: What measures will you recommend to the incoming president to implement a fair and sustainable income and wealth distribution? A: Expand the Earned Income Tax Credit — a wage supplement for lower-income people, and finance it with a higher marginal income tax on the top five percent. For the longer term, invest in education for lower income communities, starting with early-childhood education and extending all the way up to better access to post-secondary education. Q: Do you believe that wealth concentration is bad for the economy and can U.S. manufacturing be revived to be competitive again? A: Two different questions. Yes, wealth concentration is bad for the economy because it tends to depress aggregate demand. Not enough people can afford to buy all the goods and services the economy produces. The rich won’t do it because they already have most of what they need. That’s what it means to be rich. As to manufacturing, I do believe we can create new industries, such as green technologies, but I don’t think we’ll see the assembly line again. Look inside most modern factories these days and you’ll find robots and numerically-controlled machine tools, and a handful of technicians sitting behind computer monitors controlling all this computerized equipment. In other words, factories are becoming more and more automated, which means they won’t need armies of blue-collar workers. Q: As an econ professor and Democrat I’m still having trouble with the protectionist talk of the two candidates. Do you think Obama is handling trade issues properly or should he be more pro-free trade? A: While it makes sense to argue in favor of labor and environmental standards in trade deals (so long as they’re on a sliding scale, and poorer nations don’t have to reach the same standard as richer nations), I don’t think the candidates should feed the current frenzy against free trade. Q: What was it like working for the president? Did you often interact with the other secretaries? What sorts of tasks were you responsible for? What sorts of tasks did you often delegate to others in your department? A: The (T.V. show) West Wing is fairly accurate, except that the people who inhabit the real West Wing aren’t as clever with one-liners and don’t treat each other as if they’re one big family. As a cabinet secretary, I spent about a third of my time in my department, a third on the road, and divided the other third between Congress and the White House. I often thought of myself as being at the top of one pyramid (the Labor Department, which then had about 18,000 employees) and at very bottom of another, inverted one (answerable not only to the president and V.P. and many White House staffers, but also 535 members of Congress and lots of inhabitants of semi-official Washington who thought they were entitled to a return telephone call). If you want to know more, I modestly invite you to pick up my book, Locked in the Cabinet. Q: What do you believe would really happen, if in a growing economy (such as the one we had under President Clinton), we left the rate be, and allowed the economy to grow large enough for say, 99 percent employment? When I took office in 1993, most economists assumed that unemployment couldn’t get below six percent without igniting accelerating inflation. Alan Greenspan understood that globalization, technological change, intensifying domestic competition, and the decline of unions all created a different economy — one in which unemployment could get to four percent, even below four percent, without causing inflation to accelerate. But I don’t think unemployment can fall to one percent without having an inflationary impact. Q: Do you think the growing income inequality in America is a product of economic forces (globalization, skill-based technological change, immigration) or political and social factors (decline of union membership, for instance)? A: You can’t really separate the economics from the political and social factors. Union membership has declined in part because consumers have far easier access to cheaper goods made with non-union labor. My latest book, Supercaptalism, goes into this in detail. Q: I’d be interested to know your thoughts on the feminisation of poverty and the male-female wage differential. How much of that is due to career choice? A: Rough estimate: About 50 percent of the differential has to do with different career choices made by women and men. Twenty-five percent involves greater time women spend on care-taking of children and elderly relatives. The other 25 percent is due to bias and prejudice in the labor market. Q: Mr. Reich, What does the U.S. have to do in order to raise the value of the dollar against world currencies? A: Theoretically, the Treasury (along with the finance ministries of other major economic powers) could temporarily raise the value of the dollar by buying dollars. But this would only work temporarily. The fundamental problem is that the dollar, as our international I.O.U., is now encumbered by so much debt (public and private) that global investors and traders worry about its future value. So they’re diversifying their dollar holdings into yen, euro, and other currencies. Even more worrying, the dollar is losing its footing as the international reserve currency in which global deals are made. Here again, buyers and sellers (including oil producers) are starting to hedge their bets by diversifying out of dollars. I doubt there will be a run on the dollar — nobody wants that, and, as I said, major finance ministries can prevent it from happening — but I don’t see how the dollar can avoid a gradual decline. Q: I love watching you and Steve Moore on C.N.B.C.’s Kudlow and Company. I usually find your points to be valid with respect to the politics of the left, but do you really feel that changing N.A.F.T.A. would be a good thing for our county as both Senators Obama and Clinton are proposing? And if so, what would we have to give up in the event that N.A.F.T.A. was to be renegotiated? A: I think N.A.F.T.A. has become a symbol for all the anxieties and frustrations — dare I say bitterness? — of many middle class and working class people whose jobs have been lost or become less secure over time. I don’t think we can or should renegotiate N.A.F.T.A. — it isn’t to blame for what’s happened. But we need to address and respond to those anxieties and frustrations. Q: You seem to be against public welfare — wanting to transfer money from unemployed citizens to the businesses that hire them — are you also against corporate welfare? Would you want to transfer money from businesses that finance mortgages to the citizens that actually live in the houses? A: I’m against corporate welfare, bailouts for business, and other forms of socialized capitalism. But I believe individual families sometimes get into trouble through no fault of their own, and they deserve help to get back on their feet. So let’s help families stay in their homes and continue to pay mortgages that are refinanced so they can afford to pay them. And let’s have better financial oversight so the next time money is cheap, mortgage lenders don’t shove it into the hands of people who don’t know what they’re getting into. Q: What is your take on higher commodity prices and do you think this trend will continue? A: Commodity prices are trending upward mainly because China and India have a voracious appetite for commodities, but secondarily because speculators expect them to trend upward and are thereby fueling them. It’s a small bubble right now but it could get to be a bigger one. By the way, the Fed isn’t responsible for preventing speculators from blowing bubbles and then getting injured when they burst. Q: Do you think that corporations should still hold a status similar to citizenship, but in a diminished form? If so, what would that form look like? Q: What should the U.S. do to help educate our youth for a sound personal financial foundation? A: An introductory course in personal finance and economics should be required in all high schools. Q: What should the U.S. government change in its current fiscal policies in order to lead by example? A: The federal budget should be divided between past obligations (Social Security and Medicare), current expenditures (Medicaid, food stamps, national defense), and future investments (infrastructure, basic research, and education). Past obligations should be funded by past and current contributions for these purposes. Current expenditures should be paid for by current revenues. Future investments may generate a deficit if the estimated future benefits from such investments exceed the estimated future borrowing costs. Families should do the same, no? Q: What large-scale policies are consistent with reducing both domestic and international inequality? A: The most important thing we can do to reduce global poverty is to end agricultural price supports and eliminate tariffs and quotas on agricultural commodities coming into the U.S. These make it difficult if not impossible for developing nations’ farmers to sell their produce on world markets. They also raise food prices for U.S. consumers, and drain the Treasury of money needed for other purposes. Q: As a fellow Grinnell 2002 graduate I’d like to know: Is a liberal arts education a worthwhile investment? Does it have value in today’s labor market, or is it an outdated concept? Is America’s higher education producing the workforce that will be needed to compete with China and India in the future? What needs to change and why? What does the U.S. do right when it comes to education? A: The purpose of a liberal arts education isn’t just to make more money (four-year college grads have lifetime earnings that are about twice that of the typical high-school grad without any college) but also to be able to have a fuller life and be a more engaged and responsible citizen. So yes, without a doubt, it’s a worthwhile investment. As to whether we’re producing the workforce needed to compete with China and India, the answer is yes — at least up until now. U.S. colleges and universities are still the best in the world, and continue to attract students from all over the world. But we can’t be complacent. Public and private universities need more and better funding, and students need more affordable access to them. Q: Overwork was one of the central themes of your 2001 book, The Future of Success. I wonder if you could comment on the extent to which economists have contributed to overwork by misinformed policy prescriptions? This strikes me as wrong-headed. The economy exists to make our lives better; we do not exist to make the economy better. "This ignores the fact that the three sources of the income disparity are not independent." The "25% bias" in Reich's formula is where a hiring authority looks at 2 very camparable employees, one male and one female, and makes 2 offers, one higher and one lower-- to the woman just *because* she's a woman. He is saying that deliberate bias *does* exist, and 25% of the gender based pay differential can be attributed to it. The rest of the difference (75%) comes from "choices," which most of us understand are influenced by sexism, current and historic. But it's not something a woman can go sue whoever her current employer happens to be under the general rubric of "gender discrimination." Nor can she realistically expect them to compensate her for her feminized work history just because sexism exists and she was compelled to cave to its many realities. That 75% is only going to work itself out over time if people, en masse, make different choices. So, a woman who tears it up in the workplace is likely to make a comparable salary to a man in a similarly situated position. (If you're not getting one, consider sopping around for a better offer). This was the babyboom career woman's model-- do everything the way they do, so you prove you can and get as much as you can for it. It wasn't a bad game plan. Other women, and increasingly it seems, want the workplace to change to fit their parenting. This is the part that is not changing-- the workplace is not molding itself to be flexible for parenting. This is partly because workplaces in general are attempting to eek more and more out of fewer and fewer people, gender indifferent. No one expected this unprecedented change in gender roles to happen overnight, and historically working women have taken a hit when the economy goes south. That's why the overall health of the economy, and not just the narrow gender disparity on which a lot of women prefer to focus, is very much a woman's issue. The 50/25/25 figure doesn't speak to opportunity, either, only compensation for comparable employees. It was a pretty limited statement, one that did encompass deliberate bias. I don't see any reason to accuse the man of "misogyny." Thank you for answering my questions and for your enlightened answers to all the other questions. Typical politician - this guy will say anything that suits his argument. Ask him if he supports redistribution of wealth via taxation? He says "I don't believe in redistribution of wealth for the sake of redistributing wealth." Of couse not! That's communism! Taxes should be for teachers and homeland securtiy. Yet what is will he recommend to the next president? "Expand the Earned Income Tax Credit - a wage supplement for lower-income people, and finance it with a higher marginal income tax on the top five percent." Is he not explicitly advocating redistribution of wealth? He is asked - are you in favor of rescuing failed investments undertaken by excessive risk-takers? "Absolutely not," he says. But later he says "let's help families stay in their homes and continue to pay mortgages that are refinanced so they can afford to pay them." Again these statements are completely contradictory. Businesses shouldn't be bailed out but he doesn't think that individuals need to have any personal responsibility. It would be nice to find someone in politics that could be consistent in their economic views independent of who they may be benefiting or talking to. C'mon - either you believe in redistribution of weath or not. Either you believe bailouts are appropriate or not. Of course, these are derived from simple rough estimates, so take it with a grain of salt. So while bias is still presenting a small labor-arbitrage opportunity, it may not be significant enough to warrant the kind of personnel shift you're describing. For example, a business that currently hires a healthy mix of men and women can't simply fire all of its men and replace them with women. And if they tried to more cleverly make all the "new hires" women, the men would probably catch on to this behavior and this would probably impact the company's productivity. So add to this the potential costs from OUTSIDE of the company's human resources. I mean, if this bias against women is pronounced enough to create a profit-opportunity in hiring, what impact will it have on your own firm's ability to get contracts, attract clients, etc.? It's probably not worth it to gain a few cents a head, especially when not everybody with decision making power in a firm agrees with the relevance of these statistics to begin with. I would like to thank Dr. Reich for his wisdom, humanity and expertise in commemting on such a variety of universally appealing questions. As a humanities professor I particularly appreciate his support of liberal arts education as a worthy social investment. I have noticed the several mentionings of competing with chinese fast growing economy, and I would add that this rapid growth is at the expense of labour without protected rights for negotiation even in a highly competitive economy. I believe in talking about solving any one nation's economical problems we'll do well to remind ourselves that we share one global social environment, such that the improvement of any poorer country's economy and the betterment of human right situation of any politically backward country will eventually better our own living conditions. Thanks for responding to the questions, I love your book Supercapitalism. If companies discriminate against hiring women and therefore lower the wages of women, wouldn't some companies only hire women? If it costs less to hire women who are just as productive as men, why hire men at all? Reich's idea that corporations should not pay income tax violates a fundamental rule of the market. Corporations should pay for government services they receive to build into their cost structure in order to justify their way in the market. A good example is the huge cost of maintaining the overwhelming armed services which are used to force access to commodities such as oil. If these costs could be directly chargeable to the oil companies for example it would provide a truer cost of oil, maybe say $10 per gallon of gas and thereby drive incentives to reduce consumption. I really wonder how/why MBAs kill the economy ...!? Isn't it just "human capital" ? Another MBA example. A friend of mine, not an MBA, but a smart high school grad, was a manager of a local chain book store. Because my friend saw the need for (then) an outlet for movie videos in the area, he increased his space in the store for selling movies. He did so well that his store had the highest sales of highly profitable movies in his territory. A newly hired MBA determined that the store was a BOOK store, not a movie store, and had my friend reduce the area for movies and increase the book area, since it was a BOOK store. The result, sales plummeted, and my friend was fired for the decrease in sales. All to maintain the BOOKSTORE image. "Tt seems Mr. Reich doesn't even attribute a huge portion of the disparity to the scenario you're talking about. He says 50% is career choice, 25% is lifestyle choice, and 25% is bias. The 70 cents on the dollar, in this instance, becomes something closer to 92.5 cents on the dollar. And considering the "70 cents" figure is a bit of a politicized exaggeration, you actually have a final figure closer to 94.125 cents on the dollar. (derived from number available on Wikipedia, the authority on labor statistics)"
This ignores the fact that the three sources of the income disparity are not independent. "Lifestyle choice" is closely tied to outright bias/prejudice - which limits women's attraction to competitive fields (as much as I love feminism, do I really want to fight my way to the top of a corporate hierarchy where I will be paid less than my male peers AND have to put up with asinine comments about my choice of clothing?). The 25% from time off is also related to bias - the assumption that women will be the caretakers for family in time of need. Others have suggested that this is "realistic," not misogynistic, but even in households where the woman is the primary breadwinner she usually is the default adult responsible for parental and child well-being. Rationalizing this by saying women "choose" or "prefer" to be in these roles ignores the fact that much of this choice is due to the fact that more energy would be expended fighting these assumptions than simply taking on the extra burden of caretaking. To Jeremy (reply 1), I think he's just making the statement that so many MBAs are out there, that the value of an MBA is going down. Imagine a scenario where 100% of the country had their MBAs upon entering the workforce. Jobs at Walmart, gas stations, and auto mechanics would all have their MBAs. New workers would adjust to things like this, people would stop getting their MBAs as they don't see a return for the costs, but currnet MBA holders (who did see a return for their costs when they made the decision) would be crippled in earnings, unable to pay back debt, possibly leaving the workforce, etc. "But still, he should know better." It has been a heartache to find Reich,a man I used to respect,is giddy for Obama, a fellow socialist. Obama's poverty of good ideas (not his hopes and dreams) stinks to high heavan. One of Obama's latest ideas is to double foreign aid. Another is to talk so sweetly and kindly to Iran--that will solve everything. Also, then you have Reich's ideas (don't get MBA's,his misogny, ideas about unions,unfinished ideas about health care) are strongly colored by his pink politics. So sorry to lose a good man. I'm a democrat for the record, but like everyone I know, I won't be voting for Obama. Should note we have a Harvard MBA man who's the President of the USA. Seems to me, MBA guys are pretty stifling. Managing people is extremely hard as I found out, but MBA guys, some of them just want to measure stuff for their success and then manipulate their numbers to show success, and then act how great it is to be successful with their metrics ("profit" or "revenue" or "GDP" etc). Meanwhile the stuff they are running is falling apart. On the pay-equity question, I'm a little confused. What is this 50% career-choice difference due to? Coincidence? Women wanting less money? Could it be that careers women tend to prefer are less valued because women do them (I'm thinking education and care-taking as examples)? Could it be that women end up in those fields because bias/prejudice keeps them out of more competitive fields? And this 25% for child-rearing/elder care -- isn't part (not all) of the reason that women take time off DUE to the fact that they make less money to begin with? I know it was a simple answer to a complicated question, but it still seems a little fuzzy to me. Maybe I'm misunderstanding what he means by "career-choice." #56 Realist - Well said! There has been in the U.S. tremendous growth in national income, but nearly all of it going to the top 5% for whom there is virtually no impact on their lives - when you're worth millions, another few hundred thousand is meaningless. Income distribution speaks to quality of growth instead of mere quantity - and in the long term sustains quantity growth as well, as it allows a broad section of society to do more economically. There is a blind assumption that putting more capital in to the hands of investors is automatically good: but that is true only to the degree to which capital is efficiently allocated. Just as two aspirin will cure a headache, and twenty aspirin will be bad for you, too much capital chasing too few productive investments results in waste and bubbles. The dotcom era is a fine example: huge amounts of capital sunk in to unproductive enterprises and unsustainable business models. Equipment and other resources allocated to nonproductive uses. Stock valuations that climbed rapidly and then crashed. Capital was wasted, a bubble left investors and workers with huge losses. Just because a sector is rapidly appreciating, it doesn't neccesarily indicate real growth - those Dutch tulips weren't really getting more valuable, nor was the the notion of selling fifty pound bags of pet food over the internet a good long term proposition. That's why the Republicans are fundamentally stupid about the economics of taxes: there is a point of diminishing economic returns on putting more capital in the hands of investors, just as there is in spending too much via government on infrastructure and services. Like any healthy diet, the government's involvement in the economy has a healthy point of balance, neither gorged nor starved. That's why when I hear the constant rants of "government bad, taxes bad, must cut, must shrink" it translates to "doesn't understand that effective government is essential to a healthy society and economy". In response to the question about domestic and international inequality, you wrote to "end agricultural price supports and eliminate tariffs and quotas on agricultural commodities coming into the U.S."
What kind of consequences would that have on U.S. agriculture? Isn't being dependant on foreign food similar or worse than being dependant on foreign oil? I am afraid that anything RR says in the future will have to judged with his political bias. Self-employed now with one employee...me. Business is based upon four things: Prompt and friendly response, excellent products, fast delivery, and doing what one says he is going to do. In business school they are described as "needless and expensive overhead." I read an article a few months back in Harvard Business Review about how to prejudge customers, the idea being to ignore customers who had no obvious potential. Apparently, they don't know this is impossible. I am interested in RR's comment that corporations should not be taxed. Is that elucidated in one of his books? Next Post »Which of Your Kids Should Get More?